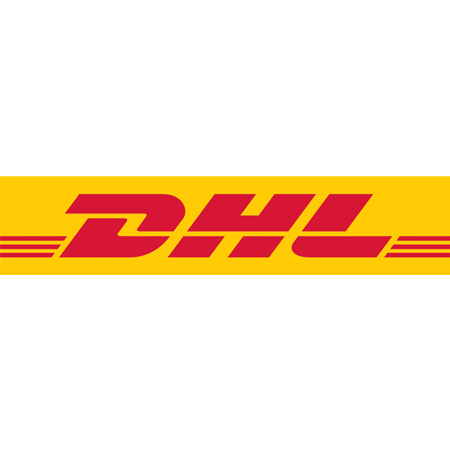 Updates on Canada Men's Sevens team at the Hong Kong stop on the HSBC World Rugby Sevens Series on April 5-7, 2019. Canada fell to Argentina 19-14 in their opening match of the Hong Kong Sevens. A series of errors by the Canadian squad in the first half had Argentina up 12-0. Nathan Hirayama was sent to the sin bin for an intentional knock on just before the break, giving Argentina the man advantage. Canada got back into the game as speedster (and birthday boy) Justin Douglas broke free for a try off a Hirayama inside ball. With Argentina down two players, Connor Braid stretched the defense and ran in for the score. Hirayama was good for both conversions but it was too little too late as time wound down and Argentina took the match, 19-14. Canada were delivered their second loss of the tournament, falling to France 24-12. Canada was kept off the scoreboard in the first half, plagued by a series of errors. Coming off the bench in the second half, Matt Mullins created some space with a huge fend and found Connor Braid on the inside who slid in for a try. Hirayama added on the two points to put Canada within 10. Smashing the ball forward, Andrew Coe was stopped just before the try line but Isaac Kaay was right there for the pick and go. It wasn't enough however, and France ended up on top 24-12. Canada got their first win of the tournament beating Portugal 19-12 to close out pool play. After a Portugal try the ball found it's way through hands to Captain Harry Jones who touched it down between the sticks. Nathan Hirayama then exploited a gap in the Portugal line to score Canada's second try before the break. Hirayama added on two conversions. It was the speed of Justin Douglas that widened Canada's lead in the second half, beating his defender on the outside and touching down for a try. Portugal wasn't able to answer back and Canada took the match 19-12. Canada were scoreless in their loss to Kenya, falling 19-0. Some young blood for Canada, Ontario-native David Richards made his HSBC World Rugby Sevens Series debut in the second half. While a driven effort for Canada was visible right from kickoff, a series of errors put the ball in Kenyan hands. Kenya scored all three of their tries in the first half, taking the match 19-0. 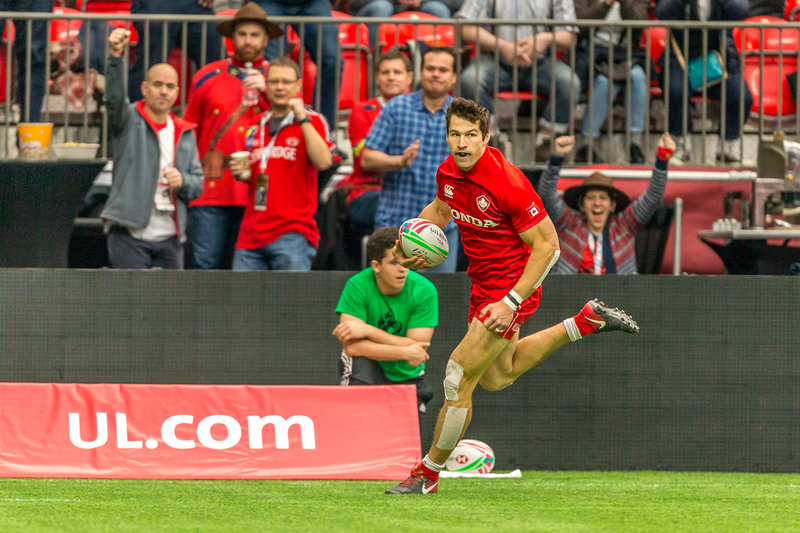 Canada ended off the Hong Kong Sevens in 15/16th place, falling to Wales 29-14. Answering the first try from Wales was Justin Douglas, grabbing the pass from Isaac Kaay for the try. Nathan Hirayama ws good for the conversion but another Wales score had them up at the break. In the second half it was Douglas again with a great step inside to get the try. Hirayama's kick put them within one point at the 3 minute mark. A series of penalties gave plagued Canada's play and Wales capitalized on it, coming out victorious 29-14. 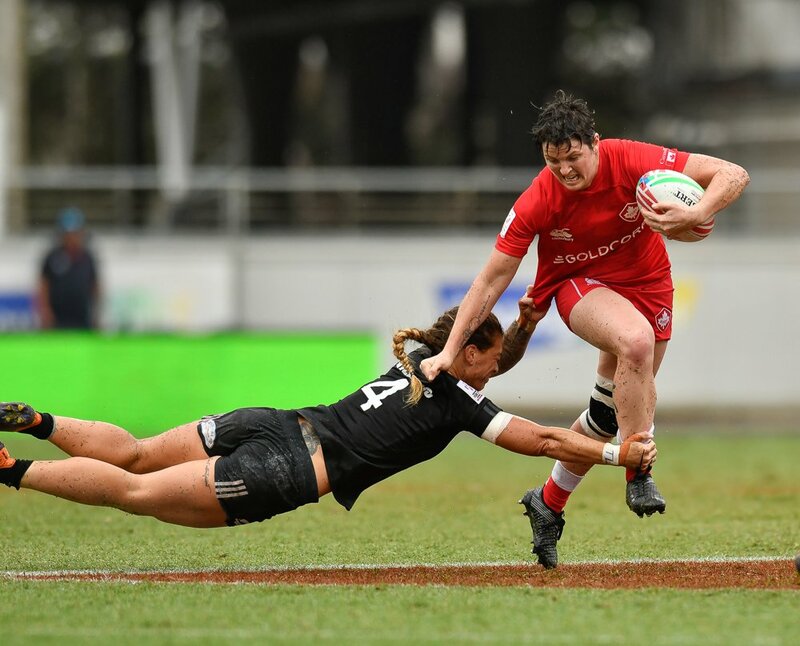 Canada will see action again next weekend as they head over to Singapore for stop eight on the HSBC World Rugby Sevens Series. Watch every game LIVE on CBC Sports.